The two ‘Chamber Symphonies’ recorded here are in fact two of Dmitri Shostakovich’s celebrated string quartets, orchestrated by Rudolf Barshai who, as a member of the Borodin Quartet, enjoyed a long collaboration with Shostakovich. A recurring element in Shostakovich’s oeuvre is the use of ‘popular’ and ‘gypsy’ tunes, as well as Jewish folk music, which he described as ‘almost always laughter through tears' – a quality he found ‘close to my ideas of what music should be’. His Third and Fourth String Quartets, opp. 73 and 83, were composed in 1946 and 1949 respectively, during the aftermath of World War II and the onset of Stalin’s terror. 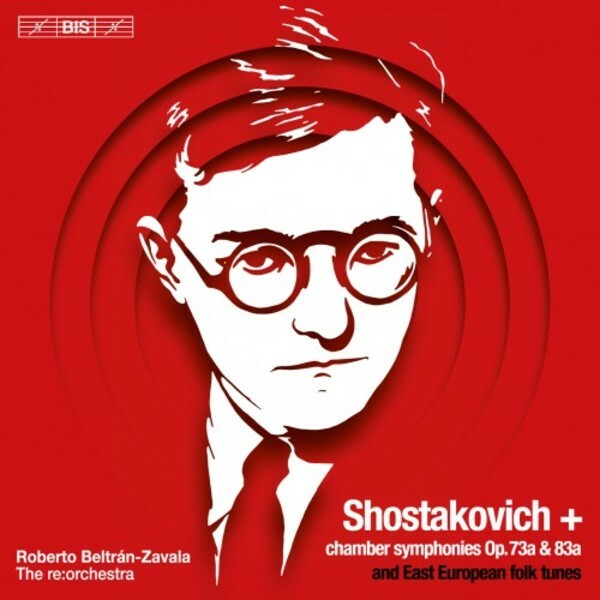 In both works Shostakovich made use of folk elements to convey different ideas and to appeal to the listener’s immediate emotions. With the aim of highlighting this relationship between the composer and the popular music that surrounded him, Shostakovich + presents Barshai’s imaginative orchestrations of these scores in an unusual context, performing them interspersed with pieces that represent a potential folk influence on parts of Shostakovich’s oeuvre. The disc is part of a project called Essential Music initiated by the re:orchestra, a young and vibrant ensemble based in Rotterdam. Together with its artistic director, the Mexican-Dutch conductor Roberto Beltrán-Zavala, the ensemble regularly undertakes multidisciplinary projects. For the present disc Vasile Nedea has arranged a Russian klezmer dance, a group of folk melodies from Transylvania and Muntenia, and two Romanian dances: Turceasca and Hora de la Goicea.